Are you looking to add to your Swiss watch collection? Planning to invest in topnotch Swiss watches? We’ve got the list that’s perfect for you. In August 2018, there was a 9.5% increase in the value of Swiss watch exports in the global market. There is no doubt that Swiss watches are becoming more valuable as time passes. Still, it can be a challenge to find out which brands have the best timepieces. To help you with that, we have a list of the top 10 Swiss watch brands below. The company Edouard Heuer founded has been in the business for over 150 years. It specializes in sports chronographs. The company also created and released the Carrera series due to Jack Heuer’s interest in racing. Its classic sporting models include Monaco and Autavia. It doesn’t only focus on sports watches. The watchmaker also creates elegant dress watches that have retro designs. A Rolex is more than a watch. It’s also a fashion statement. After all, Rolex is prominent in both the watchmaking and fashion industries. Most Rolex watches are easy to maintain and can be for daily use. The simple mechanisms make their watches accurate and very durable. 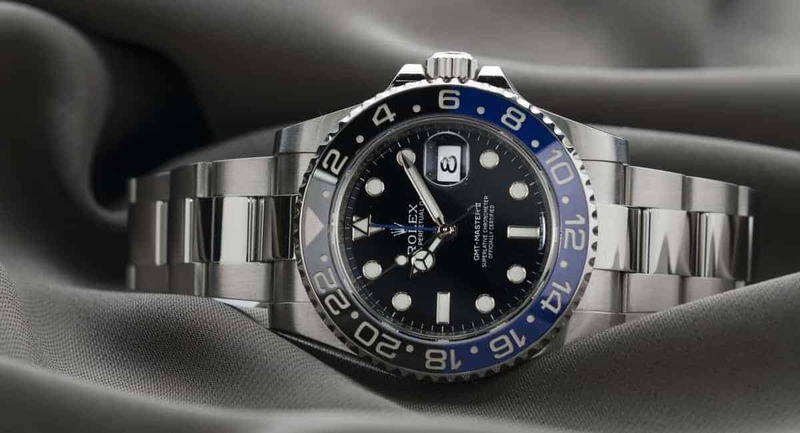 Rolex watches often can run for decades without issues. The brand also creates model designs that never go out of style. Many of its models reach the Watch Hall of Fame. Rolex places its focus on reliability and long-lasting quality. A few kilometers from the German border is the only luxury Swiss manufacturer in Eastern Switzerland. IWC creates watches with precision and longevity. It also includes inspired innovations from land, sea, and air exploration. Not only do IWC watches last decades. They also have tasteful designs like the Big Pilot and Portuguese. This kind of timelessness with quality and style make it one of the best Swiss watch brands. The Destriero Scafusia was one of the company’s creations. It’s also one of the most complicated wristwatches in history. If you want to add an IWC watch to your collection, this would be a grand and ambitious goal. Since 1903, Omega continues to create excellent watches and chronographs. The company made its name when it made reliable and durable watches that last for decades. Thus, Omega is one of the most famous brands for Swiss watches out there. The Royal Flying Corps, the Olympics, and the American Army use Omega products. It became even more renowned when A-list actors and actresses endorsed its watches. An Omega watch was the first to reach the moon, on Buzz Aldrin’s wrist. The designs are smart and stylish. Omega watches and chronographs are accurate. Omega creates some of the best Swiss watches and most precise timekeepers. The brand balances sophisticated design and quality craftsmanship. The business first focused on ladies’ watches. This is where it first developed its roots in decorative motifs. In the 1970s, the brand created its signature look for its watches. The company placed a free-floating diamond behind sapphire glass. Later, Chopard began to develop watches for men as well. If you want to dress for an occasion, a Chopard watch would fit any event well. Watches of the brand function as both jewelry and timepieces. Because of that, many Chopard watches are very valuable. The founder of Rolex created this as a sister brand of more affordable watches. In time, it created its own identity as a producer of quality tool watches. Later, it became a luxury brand for Swiss watches. One of its well-known creations is the Tudor Oyster Prince. It gave the brand its reputation when the Royal Family placed 26 orders for a British Royal Navy expedition. The French Navy adopted the Submariner model. The brand didn’t sell as well in the ‘90s. Despite that, it’s making a comeback and it’s selling better than ever before. Tudor creates different styles ranging from divers’ watches to dress pieces. Being one of the most luxurious Swiss watch brands, 400+ retail outlets sell Patek Philippe watches. It’s a very prestigious brand that can fetch very high prices in auctions. The brand’s Supercomplication is the most expensive auctioned watch, fetching 16 million GBP. Some features popularized by Patek Philippe watches include the perpetual calendar, split-seconds hand, and minute repeater. The watchmaking company has a range of styles from traditional to contemporary. Still, they maintain their standards of high quality and craftsmanship. All Breitling watches are COSC certified as chronometers. Its dials are rich with details. The timepieces have a sporty-archaic base character. The Navitimer is legendary for its accurate stop timer. It can complete some mathematical calculations as well. It even has a 24-hour dial design for use in space. Breitling’s other models have many added functions as well. Another useful model is the Emergency. It has an emergency transmitter. As a young Swiss watch brand, Raymond Weil accomplished so much in over 40 years of business. It began with a small boutique for selling luxury timepieces. Within a few decades, it’s a world-famous Swiss watch manufacturer. The brand produces striking and stylish designs. Raymond Weil explores an array of styles for his timepieces too. Because of this, the company creates both technical chronographs and elegant dress watches. The brand takes inspiration from music pieces and composers too. Mozart, Fantasia, and Amadeus are names of some of the brand’s collections. It has luxury watches for men and women as well. Yet another leading Swiss brand is Audemars Piguet. Audemars Piguet creates prestigious timepieces. Its most notable collection is the Audemars Piguet Royal Oak collection. Edward Auguste Piguet and Jules Louis Audemars established the brand in 1875. Its current headquarters is in the village of Le Brassus in Switzerland. The annual sales revenue of Audemars Piguet reaches $950 million. Another luxury watch brand is Longines. Its logo is the longest unchanged and active trademark registered in the world. The Longines logo is a winged hourglass. EBEL produces wristwatches that have elegant designs. Many of the brand’s collections lean towards jewelry. EBEL also creates accurate and technical timepieces. And that’s it for our list of the best Swiss watch brands on the market. Swiss watches take the top place for quality a luxury timekeeping pieces. This is thanks to Switzerland’s history, heritage, and quality control. Are you planning to give your wife a new ring as your silver anniversary present? Before buying a diamond, there are things you need to think about. Check out our post on the 5 things you need to consider before buying a diamond.